Wrap to shorten earbud cords for tangle-free listening and storage. Flexible rubber conforms to most earbud cord shapes and lengths, including earbuds with microphones. Built-in clip fits on pocket, bag, strap or shirt to secure and go. Earbuds not included. 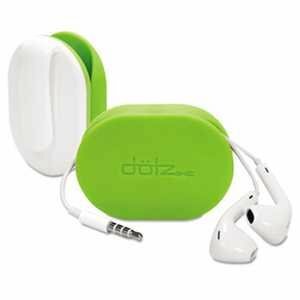 For Use With: Earbuds; Accessory Type: Earbud Wrap; Color(s): Lime. Wrap to shorten earbud cords for tangle-free listening and storage. If you have any questions about this product by PRBFXW37MCL, contact us by completing and submitting the form below. If you are looking for a specif part number, please include it with your message.